Earlier, I found out that the Metropolitan Police Service held a Misconduct Hearing today and dismissed me for the second time in a year – from the police service, and my post as a detective. A week, before Christmas. 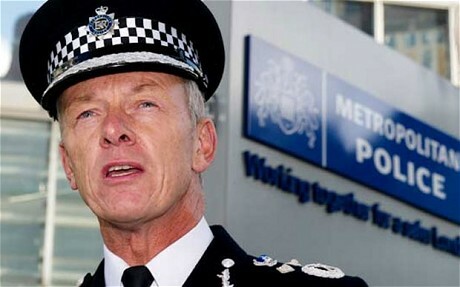 The Police Commissioner Bernard Hogan-Howe had charged me with Gross Misconduct x 2 for Undermining Public Confidence and Discrediting the Service, to damage my credibility and reputation. The full truth of my experiences as a Police Officer from 2001-2012 until I was first dismissed and the calamity that has taken place, will become known in a non-sensational way in my forthcoming memoir Broken and then it will be for the Commissioner to answer to the people of London – including those who are black, gay and disabled and whom he serves. No one, is above the law. I will be relentless in my pursuit of justice against Scotland Yard as a Social Justice and Equality Ambassador to make sure that what I have experienced over many years does not happen to any other person because of who and what they are. This, he can be sure of. Earlier this year, an employment tribunal found that the Met had harassed, victimised and discriminated against me due to my race and sexual orientation. Bad practices within the Force need to be revealed, to prevent others in the future from having to endure what I have. The Met’s behaviour has amounted to nothing less than, a continuing campaign of institutionalised victimisation.